Be A Hero in the life of a child. Feel good about your donation, 100% of what you give goes to the cause – Ask us how? 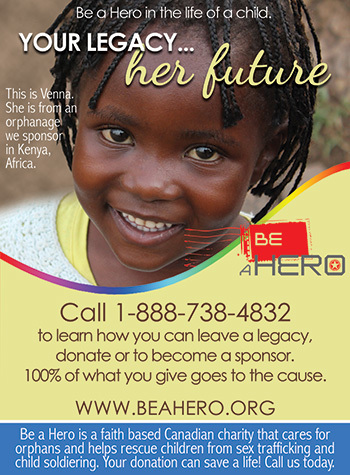 Call 1-888-738-4832 or visit www.beahero.org to donate, become a partner or to learn how you can leave a legacy.